Why do depressed people feel so guilty? sense of remorse. 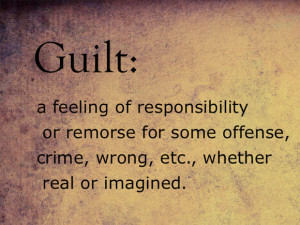 For guilt is actually a useful feeling for we social humans to have. Without guilt we wouldn’t have much of a conscience, therefore we wouldn’t be very nice to live around. But alas we blur the line. Particularly people with depression blur the line. Specific, external situations become general, internal ones. The depressed mind tends to “globalise” the guilt – i.e. instead of one action or situation being problematic, the whole being becomes at fault. A study at the University of Manchester explored the brain’s side of the story. They found the brains of depressed people have a “gap” in the communication between two key brain areas. One brain area involved socially appropriate behavior (the anterior temporal lobe) and the other involved feelings of guilt (the subgenual cingulate cortex and nearby septal region, or SCSR). Whereas in never-depressed people these areas fired together. i.e. 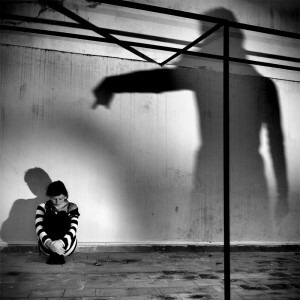 their assessment of socially appropriate behaviour was linked with their sense of guilt. So the guilt was “appropriate”. “The scans revealed that the people with a history of depression did not ‘couple’ the brain regions associated with guilt and knowledge of appropriate behaviour together as strongly as the never depressed control group do” Roland Zahn. Here’s an exercise to try if you struggle with guilt. Write a quick summary of the things you feel guilty about (e.g. not paying my kids enough attention growing up; having an affair; eating too much cake). Take a page of paper per guilt topic. Divide the page in 2 sections with a vertical line down the middle. Now your task is to go through different key moments of each guilt topic, deciding what you need to take responsibility for, and what you cannot. Write each key moment on the appropriate side of the page. For the items in the “Responsible” column, journal about what was going on for you at the time and what led to your actions. Then write what would be preferable behaviour. Then explore what you’d need in place (new skill etc) to do it differently next time. Next for that “Responsible” column write what you can do to make amends for each of the things. Check inside yourself to see if it would feel clear if indeed you did those things, or if there’s anything left over. Go do them. Find a way to let go of anything in the right column. Imagine what would free you of those things that you aren’t actually responsible for. In addition you might want to tear that section up and burn it as a metaphor. This entry was posted in Depression, Guilt. Bookmark the permalink.